This stuffed shrimp is outstanding. 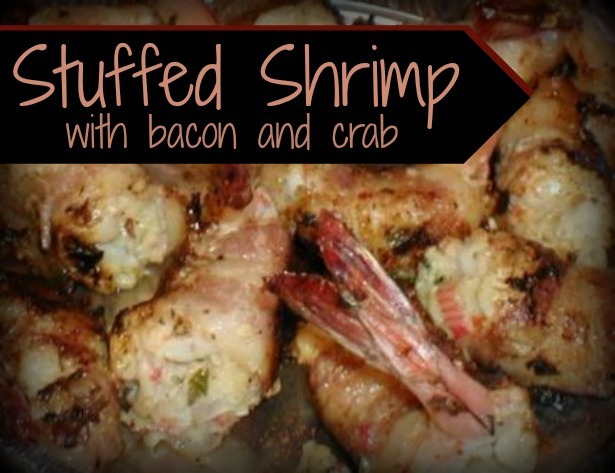 Filled with crab, wrapped with bacon and topped with cheese, even people that don't like shrimp love this. This rich and savory dish can be served anytime, it's easy to make and they will think you spent hours on it. Peel, de-vein and butterfly shrimp. Place shrimp in a bowl and cover with milk until ready to stuff. In a large mixing bowl, combine onion, green and red pepper, crab, mayonnaise, mustard, Old Bay seasoning cayenne pepper, bread crumbs, water, salt and pepper; mix well. 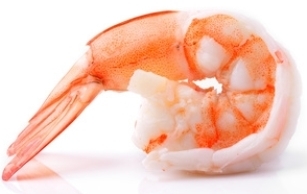 Take a shrimp in one hand and with a teaspoon, spoon mixture into the butterflied shrimp. Wrap each piece with bacon and secure with a toothpick. Continue until all shrimp are stuffed. Bake, uncovered, for 35 to 40 minutes. If cheese is used, after specified cooking time, remove from the oven and sprinkle with cheese. Return to the oven until cheese is melted.